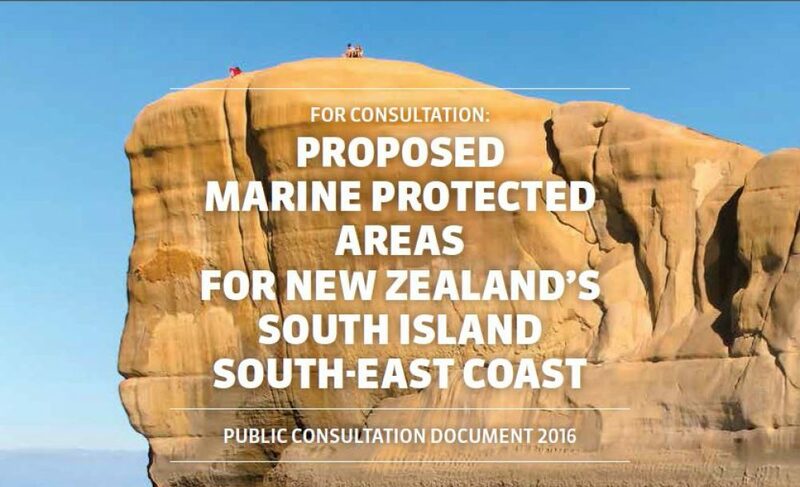 The South-East Marine Protection Forum (the Forum) delivered its final recommendations for Marine Protected Areas (MPAs) on the South Island’s south-east coast, to Government on 23 February 2018. The recommendations were made taking into account the views and information received from the public through the consultation process. Any recommendations made in the report that are accepted by the Government will be required to go through the appropriate statutory processes and there will be opportunities for further consultation and public input. The report can be downloaded below, or copies are available for viewing at local council offices and main public libraries throughout the South Island’s south-east coast. Some submissions are cited in the report, these can be viewed below. All submissions can be accessed at your submissions. Erratum: Citation #194 found on page 218 of the report incorrectly references the fishing industry submission (#2467). It should reference the tuna (eel) fishing industry submission (#1957). Network 1 – which covers 14.2% (1267 km2) of the region and includes six Marine Reserves and five Type 2 MPAs. Network 1 was supported by the Forum’s environment, tourism, community and science representatives, as well as one of the two recreational fishing representatives. Network 2 – which covers 4.1% (366 km2) of the Forum region and includes three Marine Reserves and two Type 2 MPAs. It was supported by the commercial fishing representatives and one of the two recreational fishing representatives. See section ‘2.2 Network 1’ and ‘2.3 Network 2’ of the report for an overview of each network. See also section ‘2.4 The proposed network sites’ for an analysis of the sites proposed in each network. Note: A marine reserve is a ‘no take ’area. A Type 2 MPA has restrictions specific to what is being targeted for protection; ‘a fit-for-purpose’ set of restrictions. See page 19 of the report for a more detailed explanation. To view all the submissions see your submissions.